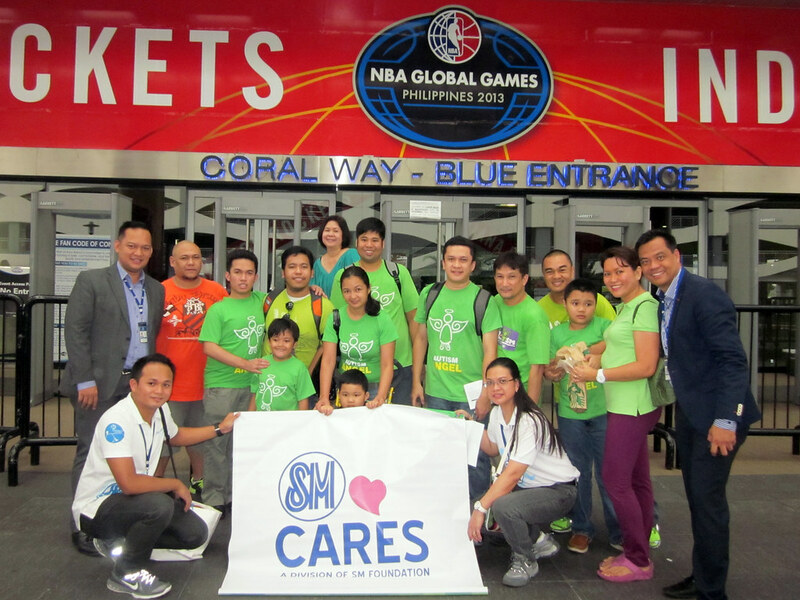 Active members of the Autism Society Philippines were special guests of SM Cares to a meet-and-greet with visiting NBA players last 09 October 2013 at the MOA Arena. Individuals with autism and their family members had a fun afternoon, watching the players of Indiana Pacers doing a basketball clinic with selected 60 participants from Special Olympics Philippines. They were then treated to a once-in-a-lifetime opportunity to meet the players like All-Star, Roy Hibbert and legends, Ron Harper and Jalen Rose. This is a part of the NBA Cares program under NBA Global Games. The Pacers and the Houston Rockets played an international pre-season game in the Philippines -- a first for the country! It was also an opportunity for PWAs to bond as a group, without their parents. They were shown seating together in the bleachers and just enjoying the show. They were ecstatic when another Pacers All-Star, Roy Hibbert, approached their stands and happily interacted with them. He even signed their shirts. Our children came home with bright smiles and lasting memories of their encounter with the NBA superstars. Many thanks to SM Cares for this rare opportunity!